It’s a tale as old as time: Boy meets girl. Boy dates girl. Boy brings girl to his youth group. Inevitably, boy and girl break up. And we are left in the aftermath with two teens and one youth ministry. I’ve seen it a dozen times. Unfortunately, 11 of those times, the boy or girl that was brought into the youth ministry by their boyfriend/girlfriend leaves the ministry after the break up. It happens, and I get it. And then there are the relationships that form within the youth group, where both teens lay claim to group in the break-up, and things get awkward, and not that fun sort of teen-goofy awkward. The kind of awkward that almost always ends in someone leaving the group. What can be done? There is no one, easy answer, but I do have some advice on the matter, so hear me out. First, don’t let a visiting boyfriend or girlfriend be a lateral attendee. Make sure that they are engaged. I try to split dating teens up when we do team-building or partner games. Lay a foundation for ownership and buy-in beyond the relationship itself. Second, reach out. 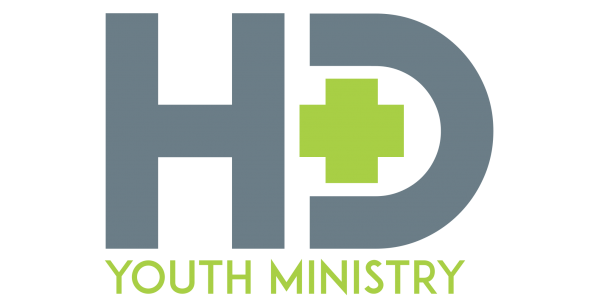 Whether the teens are both long-time members of the ministry, or one is new, they are both teens in need of your guidance. Let them know that they are welcome and that you hope to see them. Be available to talk about the break-up, the relationship, the youth group, or how the Hunger Games movies aren’t as good as the books. Whatever they need to connect with, be there with it readily available. Third, don’t make a big deal. You don’t need to call a special double-secret youth council meeting to discuss the break-up. You don’t need to send letters home to tell the teens to be extra sensitive to the situation. You don’t even need to acknowledge that anything is different to the wider group. Teach like you have always taught, lead as you have always lead, force them to do goofy games for your own enjoyment as you…well, maybe I’m the only one that does that. Show them that life goes on as normally as possible within the ministry. Fourth, be prepared for someone to leave, because sometimes they do. Sometimes it’s what they need to heal. Even if you lay the ground work and help to establish their place in the ministry. Even if you are there for them, spend time talking it through with them, even get them to say they won’t leave. Even if it seems like everything is back to normal. Sometimes, it’s just too much for them, and they stop coming. Still be there for them, like you would be if the didn’t. Make sure they know that even if they never return to the ministry, which sometimes they won’t, that you are still there for them if they need you. That is true youth ministry.